Gentle Essence - Bare Essence - Pet Friendly - Mohawk Smartstrand Silk Carpet - Roll Price $2̶9̶.̶9̶9̶ $24.99 sy. Remember to have your carpet cleaned by a professional every 12 to 18 months, depending on traffic and other factors like the frequency of vacuuming and whether your carpet is a light or dark color. Follow these suggestions for beautifully maintained flooring. 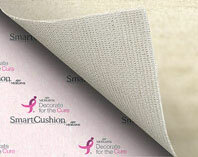 SmartCushion is made from a combination of ViscoElastic Memory foam and premium white urethane foam to produce a cushion as tremendously soft as it is durable.